After the shocking reveal of the Gouryella reincarnation in 2015 (and I say "shocking" with a little more passion and truth than, say, an episode of Maury would provide), I thought the release of the 2015 single "Anahera", may have just been a one-off to celebrate the past and to stir up a little nostalgia. But apparently, not so! Out of left field, a rebel fly ball called "Neba" (which means "heaven" in the Slovak language, instead of just referring to the National Ethical Breeders Association, as I original assumed) appeared and struck me right in the temple. Knocked me unconscious for a few days. But I've regained enough mental stamina to listen to the track, and I can say that it's... okay. Like Anahera before it, Neba only comes in one flavour: the Original Mix, which immediately blasts you with a build-up designed with a little pinch of euphoria in mind. Once we get right into the nitty-gritty of the main hook, it's another spacy melody designed to send your senses into overdrive with a more guitar-esque synthesizer. But Neba's a little different: the melody has one chord that sounds very off and unexpected the first time you hear it, but eventually you get used to it and wonder how you could have ever lived without it! How chord-ial! Yet it's not quite as groundbreaking and impactful as Anahera, uplifting and wondrous though the melody may be. Maybe the introduction of the hook shouldn't have been so sudden, or maybe it feels more like a mere reflection of Anahera. Still, this tune is sure to stick in your brain for a while. Neba is a nice follow-up as the Gouryella project finally regrows its roots into the soil, but it will likely not be as highly regarded as Anahera. Still, it reached #1 on the Beatport Trance charts, so there's still some power in there! 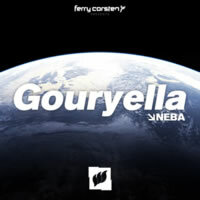 Here's to even more Gouryella goodness!